Still leading the chart is Neko Case's The Worse Things Get, the Harder I Fight, the Harder I Fight, the More I Love You with 87 spins, followed by CHVRCHES, Arctic Monkeys, Washed Out and Bill Callahan. 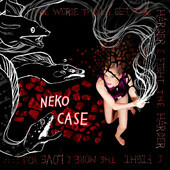 Neko Case's The Worse Things Get, the Harder I Fight, the Harder I Fight, the More I Love You tops the chart again with 97 spins. Also in the top 5 are Arctic Monkeys, Volcano Choir, Washed Out and Ty Segall. Neko Case's The Worse Things Get, the Harder I Fight, the Harder I Fight, the More I Love You tops the chart again with 89 spins. Among the top 5 are Ty Segall, King Khan & the Shrines, Washed Out and No Age. Neko Case's The Worse Things Get, the Harder I Fight, the Harder I Fight, the More I Love You tops the chart with 99 spins, closely followed by Washed out. Ty Segall, Deer Tick and Volcano Choir are within the top 5. 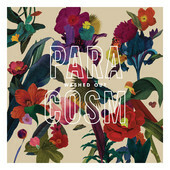 Washed Out's Paracosm Reaimns #1. Ty Segall, No Age and Superchunk reshuffle within the top 5. Deer Tick's Negativity enter the chart at #5. Crocodiles are also new at #6.